Homegrown Smartron today launched a new 2-in-1 laptop dubbed as tbook flex in India. This new tbook flex is an upgraded version of the company’s first laptop tbook which was launched couple of years ago. 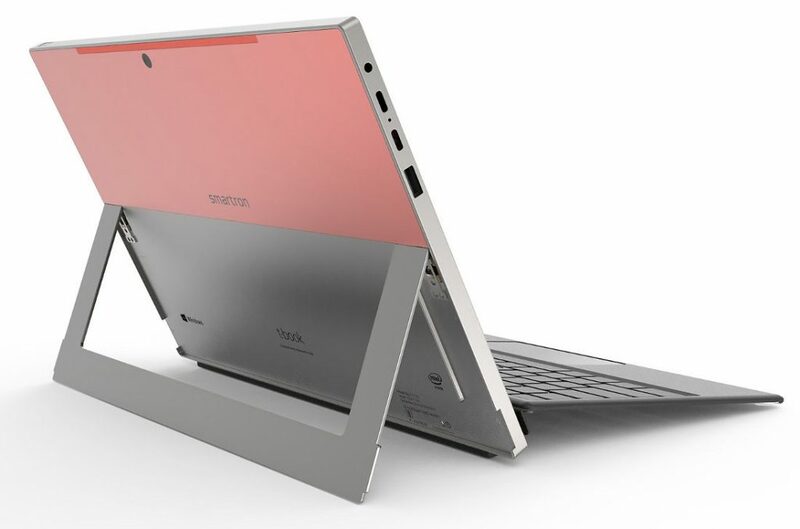 The new tbook flex comes with a similar 12.2-inch WQXGA display and also supports a stylus pen and sports a hinge design with a flex stand to flex up to 150 degrees. Smartron launched this new laptop as 2-in-1. 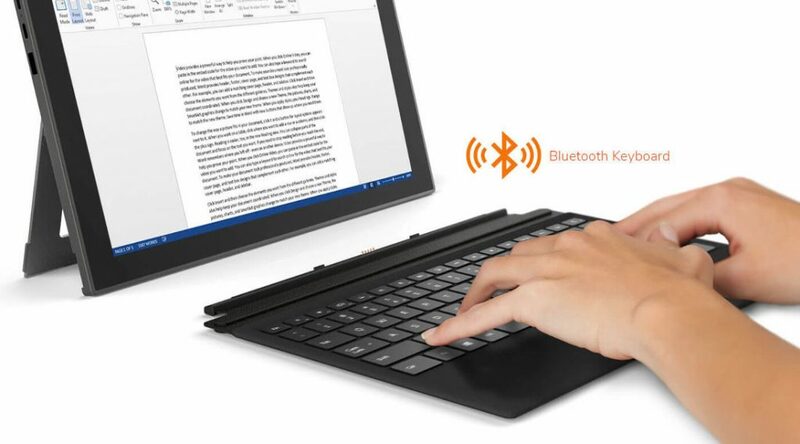 It has backlit Bluetooth keyboard which is detachable. The laptop features a Magnesium and Aluminium alloy metallic body with unique dual tone finish. It also sports a fingerprint scanner, Thunderbolt 3 USB Type-C port and supports Type-C fast charging. The Smartron tbook comes in Orange Grey and Black Grey colors with a starting price of Rs. 42,990. The Smartron tbook flex sports a 12.2-inch (2560×1600 pixels) WQXGA IPS multi-touch display with 16:9 aspect ratio and support for an Active Stylus Pen. It sports type-cover keyboard which connects using a magnetic pogopin connector with Bluetooth connectivity, has backlit Keys and P2P trackpad as well. The new laptop runs Windows 10 and is powered by a 7th Gen. Intel Core m3, 7Y30 or 7th Gen. Intel Core i5, 7Y54 processor with Intel HD Graphics 615. It packs 4GB LPDDR3 RAM, 128GB SSD storage which is expandable with SD memory card slot. The tbook flex sports a 5MP rear camera and a 2MP front-facing camera. There is a a fingerprint sensor as well as two 8w stereo speakers, dual microphones with noise cancellation. Connectivity options include Wi-Fi 802.11 ac dual-band MIMO, Bluetooth 4.0, two USB 3.0 ports, a Type C USB Thunderbolt 3, and a Type-C USB port. The laptop is powered by a 45W Lithium-ion Polymer Battery with fast charging support. The Smartron tbook flex is priced at Rs. 42,990 for the Intel Core m3 model and the Intel Core i5 version costs Rs. 52,990. The device will be available exclusively from Flipkart starting May 13.